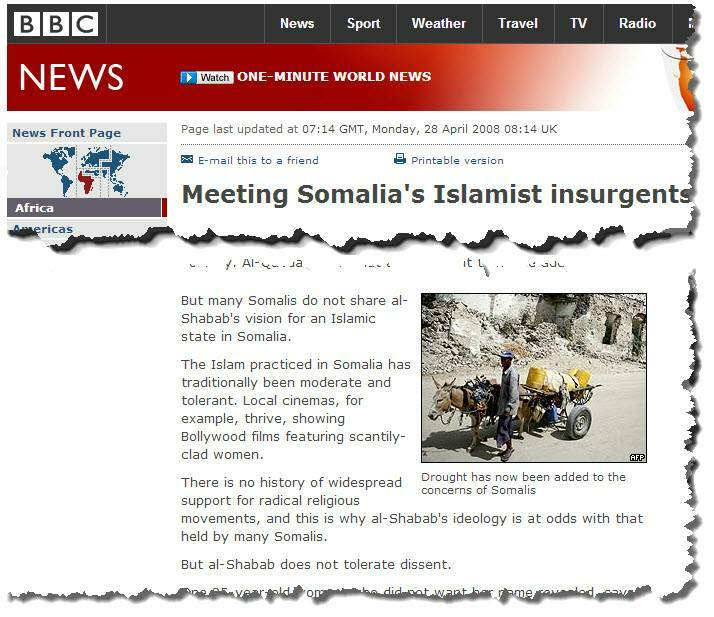 This may explain why the group is known by so many names, including: al-Shabaab al-Islamiya, al Shabaab al-Islaam, al-Shabaab al-Jihad, MYM, Mujahidin Youth, Hizbul Shabaab, Hisb’ul Shabaab, the Youth, Mujahidin al Shabaab Movement, Mujahideen Youth Movement, the Unity of Islamic Youth, the Popular Resistance Movement in the Land of the Two Migrations. 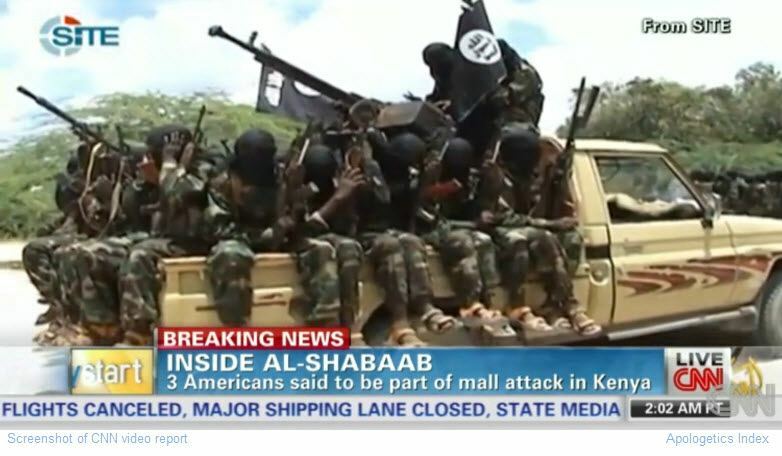 Note that Shabaab is Arabic for ‘youth’. Therefore not every group with ‘shabaab’ in its name is affiliated with the movement discussed here. In January 2010 a man linked to al-Shabaab attempted to kill Kurt Westergaard, the Swedish cartoonist whose drawing of Muhammed with a lit fuse sticking out of bomb-shaped headgear greatly upset Muslims around the world. Al Shabaab has been designated as a terrorist organization by Australia, Canada, Norway, Sweden, the United Kingdom and the USA. Analyst Mark Schroeder examines al Shabaab’s takeover of Hizbul Islam preceding the announcement that more African Union peacekeepers will be sent to Somalia — Dec. 22, 2010. This video is part of a series of reports covering Al-Shabab’s September, 2013, attack on a shopping mall in Nairobi, Kenya. “As al-Shabab, we don’t care about people who don’t want Sharia law,” he says. But Walker notes, Somalia has always enjoyed a moderate, tolerant form of Islam — and many Somalis do not share al-Shabaab’s vision for an Islamic society based on extremism. In 10 years of visiting Somalia, what is really striking is not just the growth in extremism in the country but the fear among ordinary Somalis to talk about it. In 2010, Max Fisher said in The Atlantic that al-Shabaab and al-Qaeda have little in common. Fisher speculated as to why the group claimed responsibility for a series of July, 2010 bombings in Kampala, Uganda, in which more than 70 people died. The other possibility is that al-Shabaab is stronger than we think and that this attack is the beginning of a push to expand its reach. Report by the Critical Threats Project of the American Enterprise Institute. (Feb. 12, 2010). 50 pages plus notes.